I cannot express enough gratitude for your generosity. Seriously, I have the best readers! The auction was a HUUUUUUUUGE success. I hoped to raise at least $500 and we topped that by a long shot. The auction itself brought in $678.00, plus I have received additional cash donations for Stacy, bringing our total so far to $765.00. In all this, I have learned something about the power of the Internet community. Ten years ago, if I had set out to host an Internet auction like this, I would have been lucky to raise even $100. But thanks to Facebook, Twitter, blogs, message boards, PayPal and the general convenience of Internet communication, we were able to multiply that nearly eight times! Not to mention, without the Internet, I would have never met Stacy and so many of the generous donors and bidders who have contributed to her cause. A little update on Stacy: she has begun her radiation treatments and is feeling pretty crummy, to say the least. She is receiving them twice a day -- once in the morning, once in the afternoon. Her husband is not with her because he is taking care of their children, but she says the staff and patients are very kind and supportive and are looking out for her. 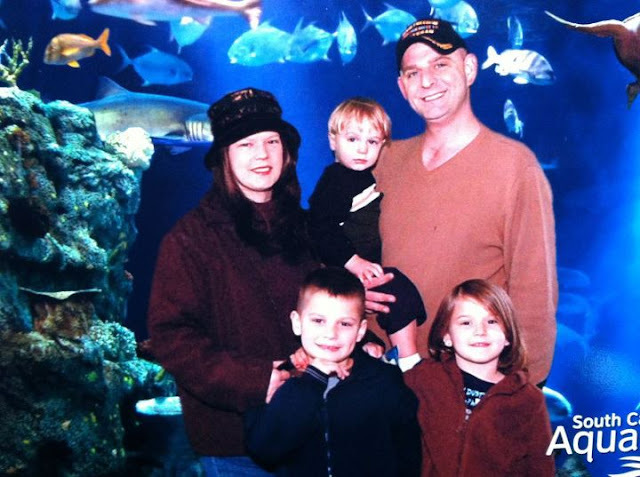 Also, a Hope Lodge sponsor generously provided Stacy and her family with a trip to the South Carolina Aquarium, so she was able to make some wonderful memories with them over the weekend. Thank you all again. Words cannot express my gratitude, nor Stacy's. She has sent me a few messages about how moved she has been by your generosity toward her and her family during this difficult time. Also, if you bid on Stacy's Auction, please go check it out and see if you won. If you did, I already sent you an e-mail. Please respond ASAP so I can the earnings to Stacy right away! I missed the whole thing! Maybe I could still donate or something. I really was planning on participating. Time just flew away from me. Great work. Amazing.